Super typhoon Pepeng is expected to hit the Philippines this weekend, thanks for bringing this up Nicole! It helps to be prepared! Stay safe and dry everyone! We always think it will never happen to us, but whether or not your home is at risk from flooding, it's always a good idea to prepare an Emergency Flood Kit as recommended by the Gloucestershire County Council. 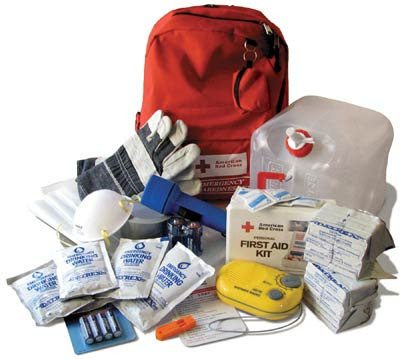 Remember to keep your flood kit in a safe place as you may need to grab it quickly in the event of a flash flood. You could also add a hand sanitizer to your first aid kit.